The main goal of this document is to propose a big picture of gravitation, where Einstein's relativity arises as a natural increment to Newton's theory. It is designed for students who do not necessarily have prior knowledge about relativity. Notes from the lectures on Quantum Cosmology and Baby Universes. The lectures covered quantum mechanics for closed systems, generalized quantum mechanics, time in quantum mechanics, the quantum mechanics spacetime, and practical quantum cosmology. We may consider Geometry as a first attempt at a study of the outside world. It may be considered as a system which reflects our experiences with features of the outside world, namely features connected with the displacements of rigid bodies. This textbook is a nonmathematical presentation of Einstein's theories of special and general relativity, including a brief treatment of cosmology. It is a set of lecture notes for the author's course Relativity for Poets at Fullerton College. Assuming no prior knowledge by the reader, the book raises specific, hitherto overlooked questions about how time works, such as how and why anyone can be made to be, at the very same instant, simultaneous with events that are actually days apart. In this work the theory of gravitation in flat space-time is summarized. Most of the results of the theory of gravitation in flat space-time are compared with those of general relativity. We only give a small part of the experimental results. This book goes back to the work of the philosophers and astronomers of two thousand years ago; and it extends to that of Einstein, whose work laid the foundations for our present-day ideas about the nature of space itself. 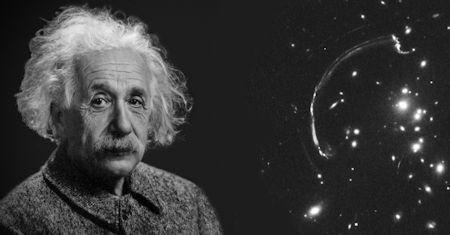 What is this theory of relativity and why is it so important? The mathematics of it are too much for most of us, but we can get some notion of it by a familiar illustration. A discussion of the more intelligible features of the theory of relativity. This little book gives a remarkably readable and intelligible account of the theory of relativity. The author is presenting his material without presupposing more than elementary algebra and the elements of plane geometry. A condensed unified presentation intended for one who has already digested the mechanics of tensor theory and physical basis of relativity. Einstein's little book serves as an excellent tying-together of loose ends and as a survey of the subject. In the framework of the special theory of relativity, the relativistic theory of gravitation is constructed. The energy-momentum tensor density of all the matter fields (including gravitational one) is treated as a source of the gravitational field. Aimed at people who do not know enough physics to understand what Einstein did and why it was so important. The course presents just enough of Einstein's physics to give students an independent sense of what he achieved and what he did not achieve. The book offers an alternative to Einstein's special theory of relativity, with the main purpose of developing a form of relativity, which can be combined with quantum mechanics and thus can open to a unified field theory. This is an elementary introduction to the Theory of Relativity. The intended audience is a class of nonscience undergraduates. Our plan is to follow a pseudo-historical development of how we came to understand the spacetime of General Relativity. This book examines the evolution of the principle of relativity in its classical, special, and general incarnations, with the aim of showing how it has repeatedly inspired advances in our understanding of the physical world. A book for the inquisitive reader who wishes to understand the main ideas of special and general theory of relativity. Only a modest understanding of high school mathematics is required. A formal account of special relativity is given in an appendix.